Think you do not have the answer to your life, think again. The voice within us is always there guiding, directing and showing us the ways to our lives. The question is … are you listening? Are you listening to this gentle inner voice that has always been there talking to you? Last but no least, trust your heart and follow the voice. 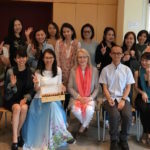 Deki became the first Bach Foundation Registered Practitioner (BFRP)in Singapore in 2009 and achieved her license to teach Bach Centre approved Level 1 Level 2 in early 2013 & 2015 respectively, which makes her the first licensed teacher in South East Asia. Trained in Counseling, Expressive Therapies and Career Coaching, her practice is firmly grounded on the principle that everyone has the power to heal him or herself. The core of her work lies in empowering individuals to gently take charge of their own physical and emotional well-being. Clients typically come to seek Deki’s support for handling grief, regaining emotional balance or to improve their relationships with others. Deki also work with children to improve their learning ability and behavioural skills. Deki believes that complete healing ultimately comes from within. Only when there is real peace, joy and happiness in ourselves, are we able to relieve the root cause of our sickness. 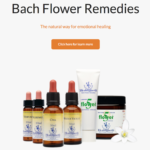 Bach Flower Remedies provide 38 remedies that are highly effective, yet gentle in bringing a person back to their innate state of perfect balance. Each one of us is capable of developing positive qualities and to transform self-love to love and care for those around us. Animal friends to address common issues such as trouble getting along with others (human or not) separation anxiety, homesick, grief, breaking bad habits, domineering character, angry, jealousy, fear/ anxiety/nervousness, attention seeking, depression, overly excited, mood swing or dreamy, just to name some. 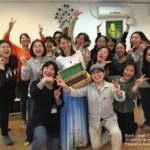 Apart from being a Bach Foundation Registered Practitioner, Hong Seng is also a certified Level 1 trainer by the Bach Centre in UK, and the first Bach Foundation Registered Animal Practitioner in S.E.A. Hong Seng started using the BFR system since the year 2008. He completed his Level 1 and started using the remedies widely both for himself, and close friends and family members. He went on to complete his BFRP in the year 2014 and have been practicing since. In 2015, he embarks on the journey to become a Bach Foundation Level 1 Teacher. With his love for animals, he continues his education to become the first Bach Foundation Animal Practitioner in the whole South East Asia. 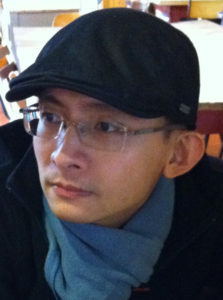 Besides Bach Flower Remedies, Hong Seng has over 10 years of experience teaching tertiary students. Being a naturally good listener, he helps his clients and students alike by being sensitive to their needs. He believes that the health of the mind is the key to our health and happiness. If our mind/emotion is out of balance, the body will as well. He sees that the remedies helps in restoring the emotional aspect, and do so in a very gentle way that is more towards awareness, than via suppression. The increased awareness allows us to have the strength to change how we do things. Trained in Computer Science, he has strong analytical and methodical skills. With his inherent curiousity in all things matter, he developed strong foundation in many things that he learnt. Besides Bach Flower Remedies, he has been teaching in tertiary institution since 2005. Coupled with strong logical mind and being a naturally good listener, Hong Seng helps his clients and students alike by being very sensitive to their needs, and reflecting the learning required back to them in a methodical approach rather than just telling them. On the side, Hong Seng is a potter and has participated in various exhibitions since 2011 both in Singapore, and overseas. He is also a Buddhist that practices the Chineses Mahayana teaching and goes for meditation retreats in noble silence in Malaysia twice a year since the year 2007. He also likes meditation as he finds them calming and restorative to a healthy mind, thus a healthy body. In aggregation of his various experiences, he believes that the mind and/or emotion per se, decides whether we are happy, and thus healthy. If our mind/emotion is out of balance, the body will as well. He sees that the remedies helps in restoring the emotional aspect, and do so in a very gentle way that is more towards awareness, than suppression. The increased awareness of having take the remedies and its effects will thus allows us to have the strength to change how we do things. With a different path a new habit will formed, and thus the remedies are not addictive. Hong Seng also works with pet owners to help dealing with emotional issues of their pets, such as separation anxiety, aggressions, obsessive behaviour, irrational behaviour, confidence issues, possessiveness, moodiness, just to name a few. He is now available for consultations. You can reach him at +65-93825735 to book for a consultation. *Information on this site is for educational purposes only. It is not intended for purposes of self-diagnosis or replacing the services of a health professional.